it's spring break here in the woods, so things have been slow at church. on a particularly slow day earlier this week i decided to play around with some text for the cover of our Easter Sunday bulletin. once i had something i loved i couldn't stop and created two versions and multiple colorways and now i've decided to share them with you! 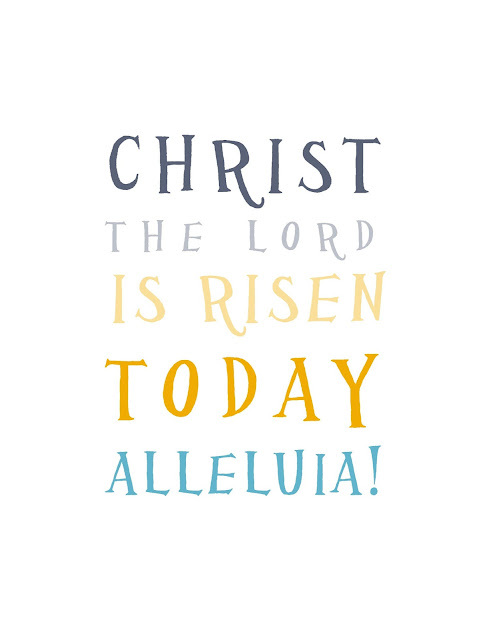 the first is the lyrics to my favorite Easter hymn, Christ the Lord is Risen Today. 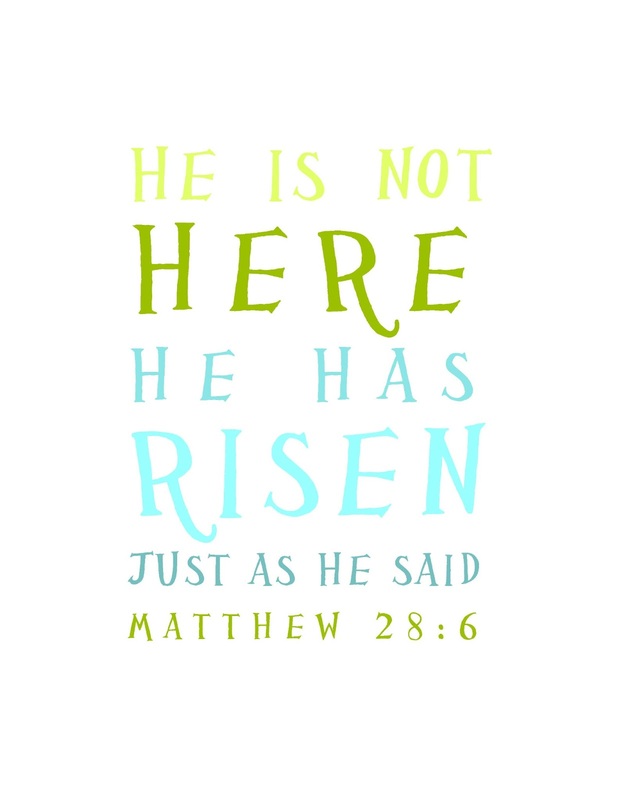 the second is the verse we had our Fun Club kids memorize last week, Matthew 28:6.
oh and a chalkboard version just for fun! so here they are for you! click the links below for the pdfs in each colorway. you can also right click and save the picture files in this post, but there are more options with the pdfs. they are all 8.5 x11 paper. 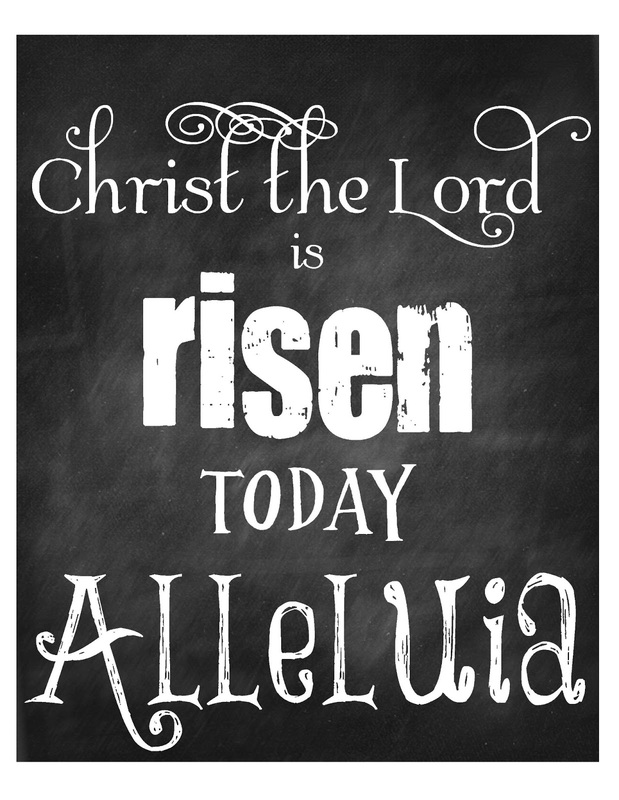 the chalkboard will print out at a full 8x10 and the colorful text can be trimmed to either 8 x10 or 5 x7. so print them out, hang them in your home or your office and celebrate the resurrection of our Savior! it's been too, too long since anything showed up over here on the blog. life has been crazy (working three jobs will do that) and the blog wasn't high on the priority list. but things have settled down a bit and i have some fun things in store for the shop(s) in the near future so i thought i'd come back to this little space. but since i'm here i'm planning on freshening things up a little bit. 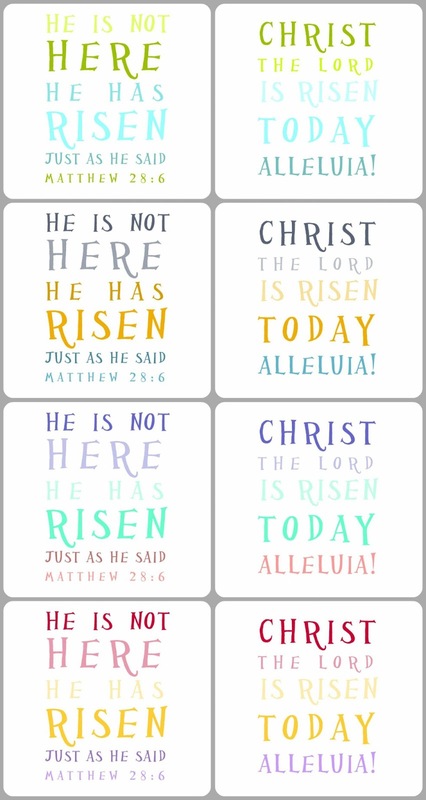 so i'll be back soon with something fun, hopefully an easter printable (or eight...) by the end of the day!